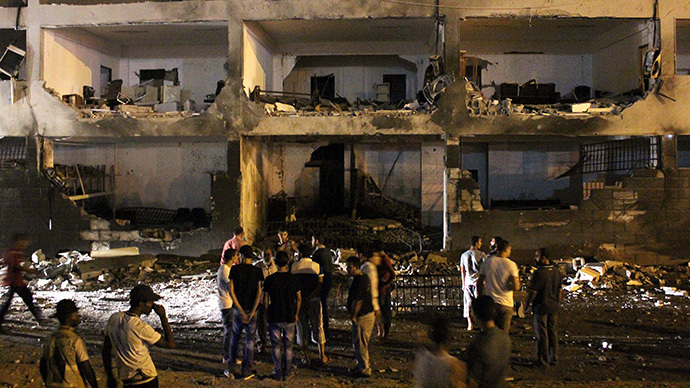 Unidentified individuals threw a grenade into the building of al-Ahrar television channel in Benghazi, Libya, wounding several staff members, Sky News Arabia reported. The attack happened Wednesday evening and followed an earlier blast at a school which injured 17 children, two of them seriously. The attack occurred when a grenade was thrown into the schoolyard during a class break. 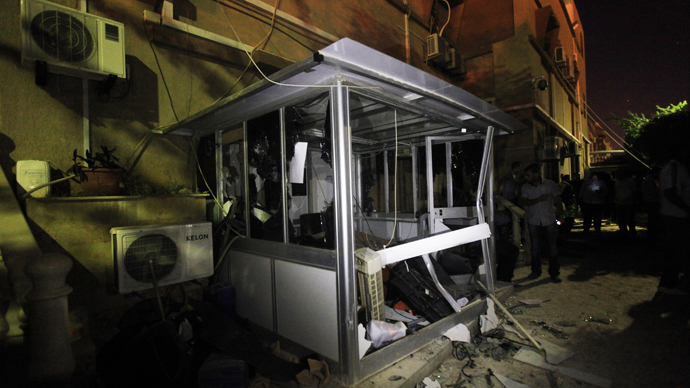 It remains unknown who is responsible for both attacks. 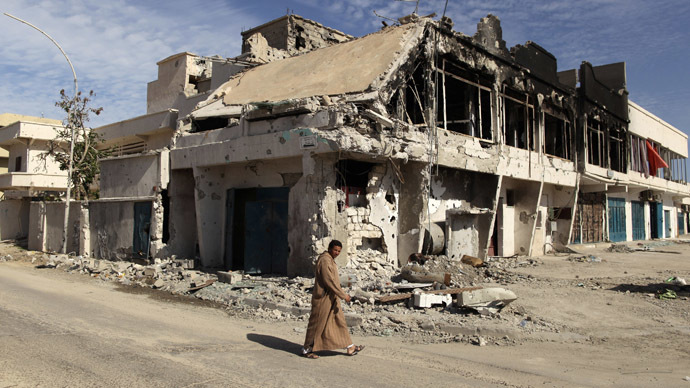 Almost two and a half years since the ouster of Muammar Gaddafi, the country still lacks political unity, is marred with violence, and is becoming a main base for Al-Qaeda in the Islamic Maghreb. 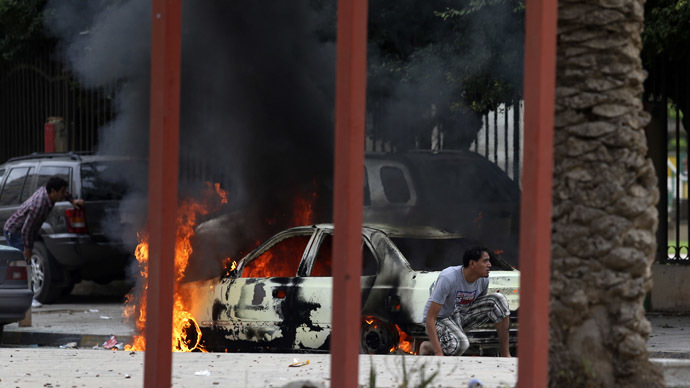 In November last year, a 48-hour state of emergency was declared in the capital of Tripoli after fresh clashes erupted. Vehicles full of fighters from Misrata made their way to the capital from the eastern suburb of Tajura, according to media reports. 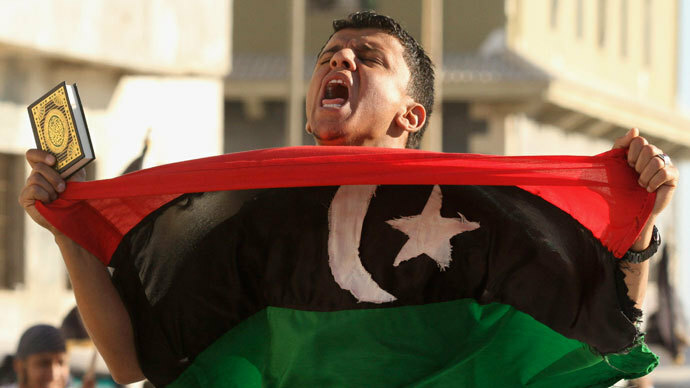 One of the causes of violence is Libya's weak government and armed forces which are struggling to control militias, Islamic militants, and other fighting groups which have refused to surrender their weapons two years after assisting the NATO-backed ouster of Gaddafi. Part of the militia was formed from local brigades of rebels, including Islamic militants who fought against Gaddafi’s government in 2011. After the fall of the leader, the government tasked the former rebel forces with maintaining security. However, the militia has not been put under state control, prompting the armed groups to act on their own agenda.